This is in part, a reaction to this blog post on "With Both Hands". I am generalizing by suggesting that "American Jews" are generally clannish, progressive, leftists, who complain about anti-semitism when it isn't their heritage that is annoying so much as it is their politics. I have friends who work at Shin Bet and at the Institute (Mossad) and get along with them like brothers from another mother/sisters from another mister. The same is true with my contacts with most Israelis. There is a mindset in Israel that I can identify with. I understand their reaction to Iran and the Palestinians who live outside of Israel. The Palestinians who live in Israel are ok. They seem to get it. There is as much difference between Israelis and the mainstream American Jews as there is between Hillary Clinton and me. 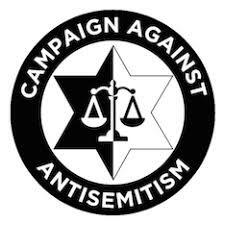 As a result, I look at anti-semitism closely when it's claimed. The same is true of racism and the other chauvinists. There's a big difference between Al Sharpton and me as well and race is the very smallest of the differences. There is a big difference between me and the blood thirsty women who run Planned Parenthood and gender is the very smallest of the differences. So is it anti-Semitic or is it something else? With the hue and cry being raised during the Easter/Passover Season, I always try to look at the root of the issue. And it's interesting that on occasion, things are not as they are claimed. When President Trump tweets (and I am not fond of them), oft times it's posturing as part of a negotiation or part of a wider strategic purpose. I've watched the twitter drama as have you all. It works to keep the corrupt, elite, smug, sly media engaged. In a flurry of tweets Sunday, President Trump said he was pulling a DACA deal off the table and demanded Mexico help in deterring illegal border crossers or else he’d nix NAFTA. Mr. Trump voiced his outrage amid reports of a caravan of more than 1,500 migrants crossing Mexico for the U.S. border, where they will demand Easter asylum. Mexico reportedly has not attempted to stop the caravan, which was organized by Pueblos Sin Fronteras, or People Without Borders. It will make the case for a big, beautiful wall. The family is coming over in an hour. I'm watching two grandsons now. Three more will arrive. Then we'll say grace to give everyone an even start and then eat. I am not prejudiced by race or non-violent faith, by national origin or by circumstances of birth - but I can not effing tolerate STUPID PEOPLE. Right behind the stupid are the chronically rude. My lack of tolerance for idiots is compounded when they work to take away rights or tell me how to live my life. I've been trying to be more tolerant of the moronic, imbecilic actions of the chronically stupid and it's been a struggle. Watching less news has helped incrementally. Ignoring politics to the extent possible, given what I do for a living, has also helped. I am as tolerant as I can be of people who are unable to make a decision, however, having been in shoot/don't shoot and other life threatening situations my entire life has made this tolerance of others who can't make a decision (the best available) and living with it -- is a frigging challenge. Jesus Christ was charitable toward all - even the stupid and nasty. It's a tough bar to reach for mortal man, but it's achievable. And a worthy goal. Peace to you whatever system of religion or the lack thereof that you adhere to. Preach kindness, mercy, compassion and honesty and act accordingly. It's what Jesus would have you do and it's the only way to be happy in this life.